Dr. Oliver Sacks's books "Awakenings, An Anthropologist on Mars" and the bestselling "The Man Who Mistook His Wife For a Hat" have been acclaimed for their extraordinary compassion in the treatment of patients affected with profound disorders. 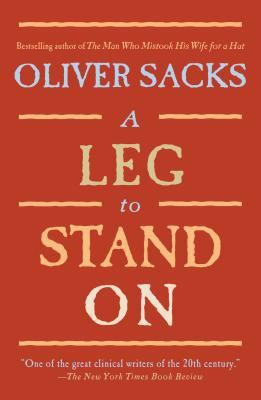 In "A Leg to Stand On", it is Sacks himself who is the patient: an encounter with a bull on a desolate mountain in Norway has left him with a severely damaged leg. But what should be a routine recuperation is actually the beginning of a strange medical journey when he finds that his leg uncannily no longer feels part of his body. Sacks's brilliant description of his crisis and eventual recovery is not only an illuminating examination of the experience of patienthood and the inner nature of illness and health but also a fascinating exploration of the physical basis of identity.